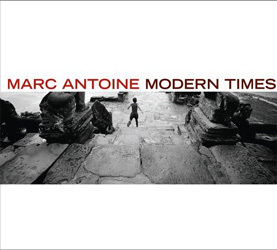 Thanks for joining me as we spotlight Modern Times, the latest from Marc Antoine. We'll trace some the high points in Marc's career & we'll spin a few tracks from the album as part of the showcase feature. Then in hour two we're back with more BT and a star studded lineup. Today's feature includes golden listening from Brian Bromberg, Craig Chaquico, Nestor Torres, & Richard Smith. 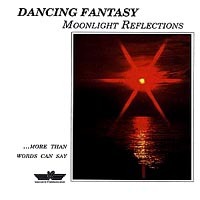 We've also slotted a fantastic selection from Germany's Dancing Fantasy! Added to the mix are tracks from Joyce Cooling, Marion Meadows, Randy Crawford, Patrick Yandall, Maurice Gordon, Bob Baldwin, Mark Hollingsworth, Ray Garand, Richard Elliot, Boz Scaggs, Rick Braun, Pamela Williams, The Clayton/Scott Group, Amarosa, Robin Avery, & Steve Raybine! As a young boy growing up in Paris, Antoine was first exposed to the sound of the guitar through a neighbour, who knew but a single song. Nevertheless, Marc fell in love with the mellifluous tone of the instrument and bought his first one with prize money from a scooter race. He practiced incessantly and at 16, he earned a scholarship to the Paris Conservatory of Music. However, being the son of an accomplished athlete, Marc also developed a love for swimming that grew along with his passion for music. There was talk of 'Olympic potential' when Antoine placed in the junior championships in France and then in the European finals. It became evident that if Marc wished to reach his full potential in either field, he would have to choose between swimming and music as regardless of his choice, it would require his full attention. It was Marc's father who stepped in to provide direction. The elder Antoine reasoned that physical abilities such as those required to swim at a competitive level would soon wear thin, but those skills developed in the pursuit of musical excellence would in fact last a lifetime. Antoine knew in an instant which path he needed to choose. For the next few years he lived with his aunt and learned technique and composition at the Conservatory by day while by night he jammed in clubs until the wee hours of the morning. Marc was well on his way to becoming one of the most promising musicians on the Parisian music scene when at 19 he suffered a terrible accident that nearly cost him his career. While home for a brief visit, the family dog jumped up to greet him. Antoine was sent reeling backwards thru a plate glass door as nerves & tendons in his left wrist were severely severed. In spite of a lengthy five-hour operation, doctors diagnosed that he would never be able to play guitar again. Antoine refused to accept their prognosis. He worked strenuously for an entire year but could still only play a single chord. Yet that provided all the encouragement that he needed to continue practicing and to ultimately prove the doctors wrong. In so doing he developed an entirely new technique and sound. It took three long years but by the time he was 22, Antoine was back on the circuit. After various experiences in Pop, Jazz, Latin and African music, the by now seasoned 31 year old performer, formed a band and recorded his first album in 1994. The release was critically acclaimed & launched Antoine on a path that has seen him develop into one of the finest guitarists in the Smooth Jazz genre! With a total of seven releases now to his credit, Modern Times is Marc's latest. This album marks an exciting change in direction for Antoine. For the past 3 years he's lived in Spain, a time during which he became a father. These experiences together with many of his travels have inspired Antoine to take his music in new directions. For the project, Antoine brought in David Ferrero , a producer who is well known in the club world for his dance grooves and pulsating rhythms. In addition, Antoine "wanted to explore a different musical palate by using electric guitar on some tracks." It's with great pleasure then that we showcase Modern Times and Marc Antoine. We begin with a special remix of Bella Via, the first single to radio. That's followed by Umbele, a track that revisits many of the African influences that Antoine was experienced in his early days while gigging in Paris. And we finally we conclude with Camden Town, a track that features a terrific sampled percussive groove courtesy of David Ferrero and our favourite from the album. With so many creative avenues that he's already explored, Antoine still discovers many new & wonderful musical vistas. The album does indeed reflect 'Modern Times' as Antoine presents one of the most imaginative releases for the year! Following the lead of both his father & brother, Bromberg initially took up drums. He also began playing cello for his school band, but upon the suggestion of his band teacher he tried the upright bass. Brian immediately connected with that instrument. Thereafter, he locked himself away & practiced incessantly. When he took to performing, it was with equal passion. 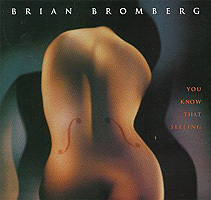 Bromberg frequently played five to seven nights a week, often with several different bands. He was only 19 when he auditioned for & joined Stan Getz in December of '79. He toured the world with Stan and his band for the better part of a year before moving on to other pursuits. In the period that followed, Bromberg developed into a highly regarded sideman. He released his critically acclaimed debut in 1986 and now has a catalogue of about a dozen releases to his credit. These subsequent projects have only served to enhance Bromberg's reputation. Considered an innovative player, Brian is much in demand as a sessionist & producer for both smooth and straight-ahead projects. However, as our focus here at the Café is SJ we're checking out Brian's You Know That Feeling from 1998. The album was one of the finer efforts for the year and from it we're presenting a track that features Gary Meek, Jeff Lorber, Gregg Karukas, & Alex Acuna. Bromberg himself is featured on a variety of basses as he weaves a romantic & magical spell thruout this incredible piece! Although he was born in Detroit, Smith's roots are firmly planted in Oregon, where he spent the better part of his youth. He left school at the age of 19 to pursue offers of a recording contract and did some touring with keyboardist Dan Siegel, one of our long time favourites. Richard then relocated to LA and spent the next few years studying at USC where he successfully completed a Masters program in music. Shortly after graduating he joined the teaching faculty at that university's highly regarded Thornton School of Music. At about the same time, Smith became immersed in LA's burgeoning contemporary scene. A demo tape, led in time to a lengthy gig with saxman Richard Elliot, a stint that included the recording of six #1 cds. 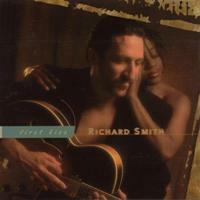 As part of his multifaceted career, Smith has simultaneously worked at establishing himself as a solo artist. He released a series of efforts back in the late 80s initially as the front man for The Richard Smith Unit and then solely under his own name. He's had several releases thru until Soulidified his most recent effort just a couple of years back. However on this occasion we're heading back to 1997 and First Kiss, the first of two releases on Heads Up. From that effort, we'll hear Smith's cover of the Luther Vandross track with his old boss Richard Elliot helping out on sax! Torres is an artist who's persevered thru personal misfortune to pursue his musical dreams. 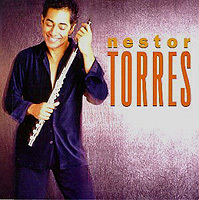 Born & raised in Puerto Rico, Nestor was 12 when he began playing flute. Following high school, Torres moved to New York where he found work in a variety of Latin-based jazz bands. Shortly thereafter, he enrolled at Berklee College and followed that with studies at the New England Conservatory. In the early 80s, Nestor hooked up with a Latin jazz act and subsequently moved to Miami, where he's been based ever since. In 1990, Torres released his debut which climbed to the top of the charts and became a best seller. Later that same year tragedy struck as Nestor was involved in a serious boating accident. His upper body was crushed & his lungs damaged. Nevertheless he found the strength to resume playing the flute thru the practice of Buddhism. Torres recovered fully and has gone on to record several more albums. On this occasion, it's our pleasure to return to 1999 & Treasures of the Heart, one of his finest, and from it we've selected one of Nestor's prettiest pieces ever! At the age of twelve, Chaquico fell victim to a drunk driver. Despite multiple injuries, Craig's desire to play guitar became his motivation for recovery. He started gigging around town in the Bay Area and soon after Grace Slick recruited him as lead guitarist for Jefferson Starship although he was only sixteen at the time. 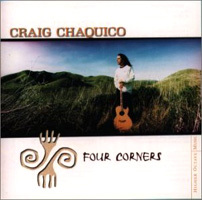 Following his stint with Starship, Chaquico was unsure of which path to follow in music but fate stepped in. Chaquico's wife happened to be pregnant at the time and to quote Craig "the electric guitar was not as welcome around the house." He started messing around with his acoustic guitar and soon remembered its healing tendencies. Never really abandoning his rock roots, but rather expanding his musical radius, Chaquico released his first solo project to great acclaim. Since then, he's developed into one of the top artists in contemporary instrumental music. On this occasion, we returned to 1998 and Four Corners for one of his best tracks - Forbidden Love with Paul Taylor on sax! For a period in the 90s thru until the new millennium, the German based duo of Curtis McLaw & Chris Williams recorded a series of popular album inspired by the beach scene in Southern California. McLaw for his part is well known on the music scene in Germany for his keyboard wizardry & his production expertise. In fact he's collaborated in several other projects, specifically Blue Knights (with Jay Heye) & Colours in Motion (with Peter Sefkow). It was about 1990 when McLaw & Williams were overheard jamming in McLaw's studio. They were offered a record deal and went on to record a total of nine projects as Dancing Fantasy thru until 2001. Nevertheless on this occasion it's a genuine treat to return to Moonlight Reflections from 1992 and what was already their 3rd release. From that project, California Grooves, Yo! is the selection & that feature some exciting sax work from George Bishop! On this edition we have a fabulous T&N feature with Brian Simpson in our spotlight. Then, there's some exciting new music including the latest single from Kem. We're introducing Wavelength and keyboardist Morgan Bouldin. We have a fabulous track from Snake Davis one of the premier sax players in the UK & we're continuing our review of the best in new seasonal music, this time with a six pack of selections to complete the show. And at long last we have the debut release from Willie TFOXX Thompson that opens the segment. All this is a fun filled and action packed hour of outstanding listening! Brian Simpson: Brian Simpson has been playing piano since he turned ten. He inherited a love of jazz from his father and although he was initially drawn to the sounds of guitarists such as Joe Pass and Wes Montgomery, Oscar Peterson turned out to be his biggest influence. Simpson formalized his studies at Northern Illinois University and as a member of that school's big band he performed all over the world. He moved to LA in 1985 and quickly became a part of that city's vibrant jazz scene. However, his journey in jazz took a bit of a detour when he took part in world tours with Teena Marie, Sheena Easton, and Janet Jackson, all in quick succession. Nevertheless, Simpson's heart has always gravitated to jazz. He's performed with many of the contemporary greats, among them George Duke, Stanley Clarke, & Larry Carlton. In addition, his own record career has just naturally veered in that direction. Brian released his solo debut all the way back in 1995. He made time in the late 90s to record a pair of projects as a member of the four piece combo Rhythm Logic. But for the most part, for the past ten years, he's been a member of Dave Koz's tour band and for the past eight, he's acted in the capacity of Koz's musical director. That brings us more or less to the present as Simpson just recently issued It's All Good, his long overdue follow-up effort and one of the finest releases in 2005 ! Okay so in truth Simpson has only had a pair of solo releases. Nonetheless, we have ample material for our T&N feature as we supplement selections from those albums with a couple of tracks from Rhythm Logic. We begin with Brian's debut and Hidden Pleasures, a tune that first got me and many others hooked on the sounds of this brilliant keyboardist! That's followed by two Rhythm Logic tracks each featuring Brian. You Know I Will is first up from the first Rhythm Logic release and that's followed by Midnight Conversation from the hard-to-find Sweet Talk album. Finally from It's All Good, we close with It Could Happen! We close AH with some of the best in seasonal music that we've come across in the last few weeks or so. We have a six pack of selections in all. We're starting with Steve Oliver and The Christmas Song featuring Steve on both guitar and vocals. That's followed by Rick Braun and My Little Drum, Donny Osmond with Christmas Time, Russ Freeman and Red Baron, and Al Jarreau with Christmas Morning. Finally Planet 9, formerly Plan 9, wrap things up with the spirited Fa-La-La (Deck the Halls). The tracks are played in that order and are taken from the above cds respectively with the exception of the Osmond track which is available for down load from Donny's site!